The Parents Leadership Council (PLC) provides insight and reflection on key strategic initiatives of the School as well as emerging topics of interest for families and their students. The goal of the PLC is to better engage and inform our parent community. Each meeting will focus on an important area of school life at New Hampton or in education in general. Our parents will be asked to provide thoughtful feedback around the New Hampton experience and how we can take steps to improve our program offerings. Thank you for your participation in the Parents Leadership Council. We are thrilled to invite New Hampton School parents to the Spring Parents Leadership Council and to introduce our nationally acclaimed guest speaker, Dr. Robert Watts. Dr. Robert Watts is an inspirational author and an engaging motivational speaker on such topics as leadership, ethics, and the power of the human spirit. He will speak to our students during school meeting and share a similarly focused message with our parent community at the council meeting. Please contact Director of Parent and Alumni Relations Cindy Buck by email or at 603-677-3414. After the students depart for Prom, please join fellow parents and staff for an evening reception. 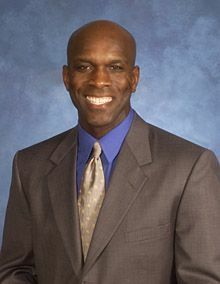 Dr. Watts is a graduate of Vermont Academy, a former NFL football player and founder of Watts and Associates, an organizational development consulting firm in central California. His younger brother John Costen is a New Hampton School alumnus from the Class of 1977. Read more about Dr. Watts online.